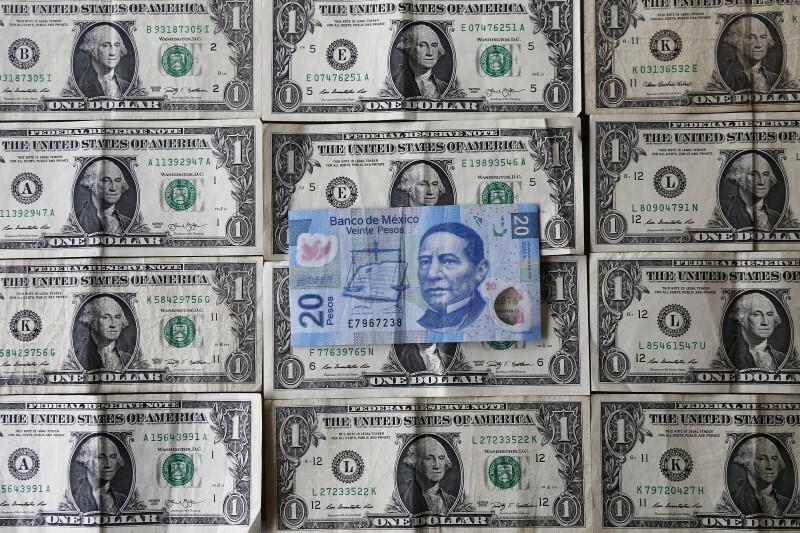 MEXICO CITY (Reuters) – The Mexican peso will continue to weaken next year due to low global oil prices and falling Mexican crude production that will widen the country’s current account deficit, according to strategists at Mexican bank Banorte-IXE said on Monday. Banorte strategists, led by Gabriel Casillas, said they expect the peso <mxn=>to trade at 19.80 per dollar by the end of next year. They also revised their outlook for the end of 2016 to 18.50 per dollar from 17.60 per dollar. “We believe the peso needs to fall further in 2017 given the likely prospects of persistent headwinds for the oil sector and to help correcting a wider imbalance in external accounts,” Banorte wrote. Relative to the dollar, Banorte’s projection of 19.80 per dollar is 6 percent weaker than Friday’s close of 18.60 per dollar and it is 8 percent weaker than the median 2017 estimate of 18.20 in a poll from the central bank published early in August. Banorte said it expected a further drop in Mexican oil production, low oil prices and fiscal challenges facing the state-run oil company Pemex would continue to pressure the currency. Some models suggest the peso is already deeply undervalued, Banorte said. It added, however, that these failed to take recent structural changes, particularly in the oil sector, into account. “The double whammy of low crude-oil prices and falling production suggests continued weakness for the country’s current account balance at least until next year,” Banorte said.